A TRULY STUNNING EXAMPLE of a GT 150 with ONLY 2 OWNER's from new, FULL SERVICE HISTORY (3 Stamps) and a GREAT SPECIFICATION including Touch-screen Satellite Navigation system with Traffic updates, DAB Radio/CD with SD Card reader and Media input socket, Bluetooth Telephone system with media streaming function, Voice command system, Variable Drive Mode Experience control, Adaptive Cruise control with Speed Limiter function and Emergency Brake function, ADC (Automatic Distance Control) including Front Assist and Radar Sensor Controlled Distance Monitoring System, Driver Alert system, Front and rear parking sensors with Park Pilot system, Electronic Parking Brake - with Auto Hold Function, Upholstery - Alcantara Seat Centre Section and Global Cloth Side Bolsters, Air conditioning, ASR Traction control system, Driver information system with connected multifunctional steering wheel, 17inch Alloy wheels, Tyre pressure monitoring system, Rear privacy glass, Electric windows x 4, Electric power folding heated mirrors, Automatic headlights, Front and rear foglights, Auto-dim rear view mirror, ABS, Power assisted steering, Driver airbag, Passenger airbag, Multiple side airbags, Remote central locking with 2 Keys and Immobiliser, Adjustable steering wheel/column, Adjustable seats, Lumbar support, Front and rear head restraints, Front and rear armrest, ISOFIX Rear seating system, Folding rear seats, Set of 4 fitted Volkswagen Mats. 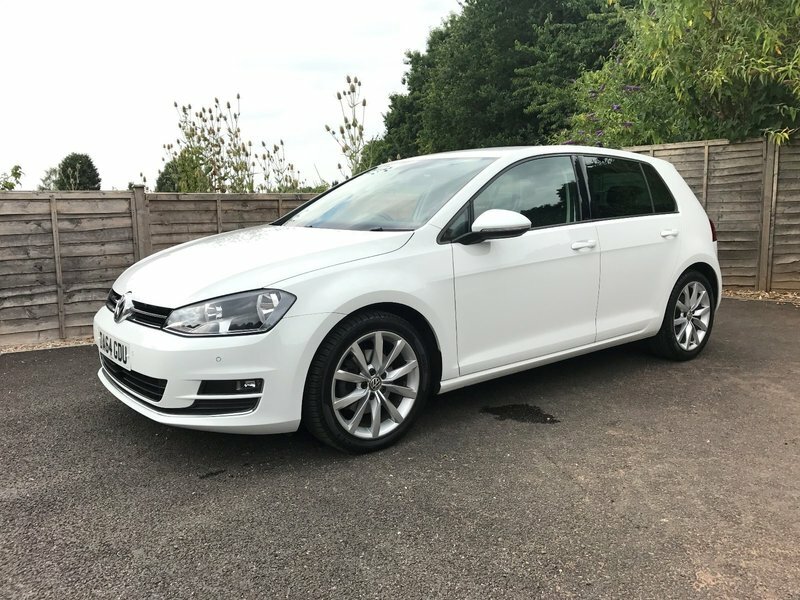 This lovely example was purchased directly from Volkswagen by the owner of one of our workshops in September 2015 and has been meticulously cared for by them ever since. It has had 3 major services on 28th June 2016 at 13,721 miles, on 17th May 2017 at 22,784 miles and most recently on 22nd March 2018 at 32,339 miles. It is presented in EXCELLENT CONDITION with 4 unmarked Alloy wheels and matching Pirelli tyres all with a very good level of tread remaining and a current ADVISORY FREE MOT valid to 01st December 2018. FREE 12 MONTHS AA BREAKDOWN COVER available as well as a FREE 6 MONTHS WARRANTY and FREE FULL 12 MONTHS MOT to be arranged by us at the point of sale. We currently have very competitive FINANCE and PART EXCHANGE facilities available. All our vehicles are HPI clear with a certificate provided. Debit and Credit cards taken. Appointments available 7 days a week. Please feel free to phone or email with any queries you may have or to arrange a viewing.